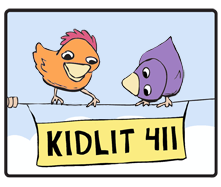 Welcome to Kidlit411, your one stop information shop for children's writers and illustrators. Author & Illustrator Spotlights - each week, we feature an author or an illustrator, who share their experience with you. Each spotlight usually comes with a book giveaway. So spend some time with us! Browse, click, connect and welcome to the world of kid lit writers and illustrators! If you're serious about creating children's literature, we highly recommend that you join the Society of Children's Book Writer's and Illustrators (SCBWI). KIDLIT411 founder, Elaine Kiely Kearns is a picture book and middle grade writer. Armed with a master's degree in Education and working from her home office, she spends her time perusing the internet for golden nuggets of information about children's writing and creating her own stories. Her debut picture book, NOAH NOASAURUS, illustrated by Colin Jack (Albert Whitman) will be forthcoming April 1, 2019. She is represented by Linda Epstein of Emerald City Literary Agency. Sylvia Liu is the other half of KIDLIT411, helping keep the site running with new links and spotlight interviews. Her picture book, A MORNING WITH GRANDPA, illustrated by Christina Forshay debuted in 2016 from Lee & Low Books. She also writes middle grade science fiction. She is represented by Jennifer March Soloway of Andrea Brown Literary Agency. Since 2018, we've held an annual contest to design a website banner. 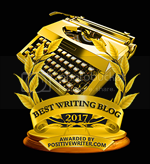 Check out our post of the 2019 winners. Each month, we change our banner for one of the winners or honorable mentions. The April 2019 banner was designed by Elizabeth Lampman Davis. We welcome links for the site and illustrations for the front page. 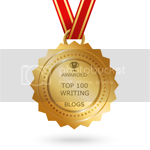 Please send links or low res JPGs of your work and your website to kidlit411@kidlit411.com. Sign up for email updates, and we will send you a weekly post with all the new links added over the past week (The Weekly 411). Join our Facebook group for information and camaraderie. Join our Facebook manuscript swap or our Facebook portfolio critique swap to find critique partners. We run periodic book giveaways in our Author & Illustrator Spotlights. Winners are selected randomly Rafflecopter.com and notified by email. Kidlit411 will not share or sell any information you provide in entering our giveaways and will use any information only for the purpose of contacting the winner or verifying entries. Odds of winning depend on the number of entries received. Open to U.S. residents only, ages 18+. No purchase necessary. Void where prohibited by law. We run this site on a shoestring, but even shoestrings cost money. If you have found this site helpful and would like to contribute, we would be very grateful.